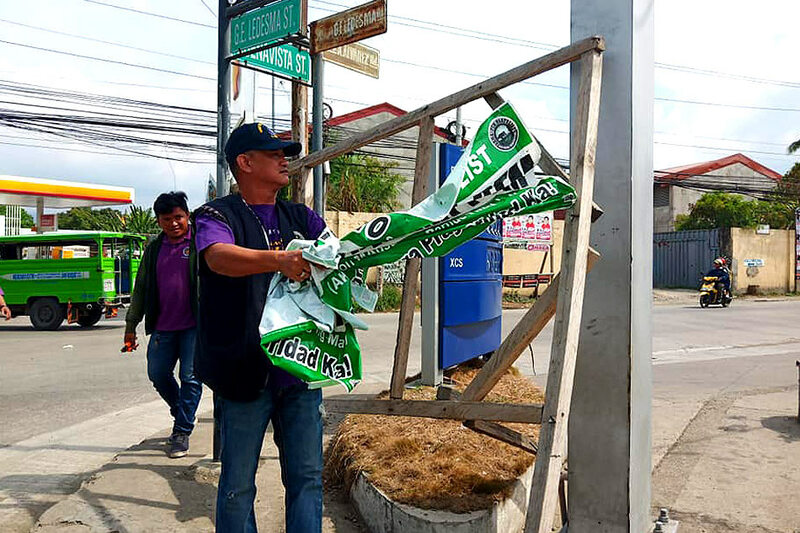 ZAMBOANGA CITY - The Commission on Elections (Comelec) removed illegal campaign posters in Zamboanga City Friday as the campaign period for candidates running for local elective posts started. Election officer Jan Christian Babiera said most of the confiscated posters came from national candidates and party-list groups. Campaign posters are limited to 2x3 feet and should be placed only in common poster areas, which are determined by local election officers. Violators may be imprisoned, fined, or disqualified from holding public office.